Regular and punctual attendance at school is of the utmost importance in order for your child to achieve to the best of his / her potential. Registration is monitored daily and the school works closely with the Local Authority's Inclusion Officers to ensure good attendance. 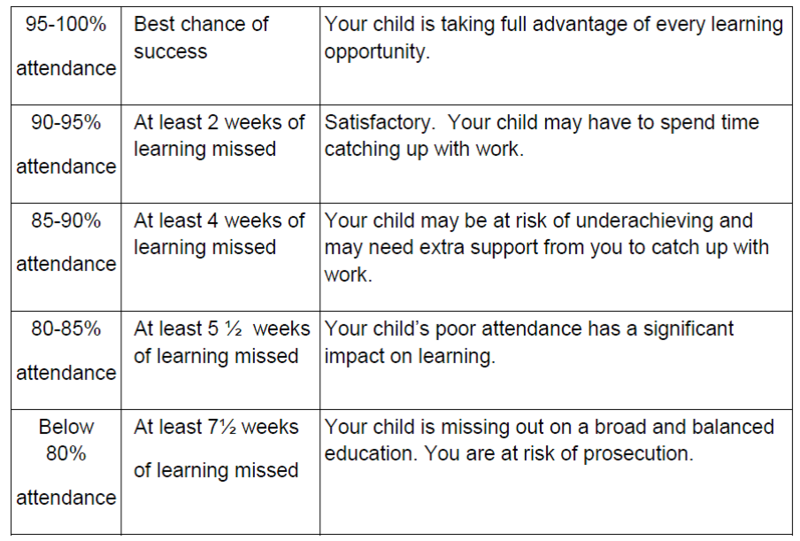 The table below outlines the detrimental effect poor attendance can have on your child's education.